The film opens with some breathtaking shots of the forests, streams and mountains of it’s British Columbia location and then it all goes downhill from there… We enter the expertly designed set pieces of a village tucked into the wilderness where our story will take place BUT the camera work, the compositions and the crisp colours make the whole setting feel inauthentic (almost as inauthentic as the story, acting and dialogue… but more on that later). Speaking of the cast. Seyfried plays the big-eyed beauty well, even if she’s forced to spit out some ridiculous lines (and play it completely straight… something tells me this script read a little more tongue-in-cheek but that’s not the way it was shot). Academy Award winners Julie Christie and Gary Oldman ham it up on screen (if I heard Oldman scream about killing his wife one more time, I would have sacrificed myself to the wolf). The two leading men, Shiloh Fernandez and Max Irons, were little more than eye-candy for young girls… Not sure if they can play anything other than smoldering (lack of) intensity. Lastly, the story played out as ridiculous as everything else. More interested in throwing us red herrings than actual developing any kind of story arch or characters makes the whole affair sit there like a clunky log and leaves the audience uninterested (at best). Oh, and like I said, the dialogue was atrocious. This is one of the worst films I’ve seen in some time… and I saw Beastly last week. Official Synopsis: “Valerie (Amanda Seyfried) is a beautiful young woman torn between two men. She is in love with a brooding outsider, Peter (Shiloh Fernandez), but her parents have arranged for her to marry the wealthy Henry (Max Irons). Unwilling to lose each other, Valerie and Peter are planning to run away together when they learn that Valerie’s older sister has been killed by the werewolf that prowls the dark forest surrounding their village. 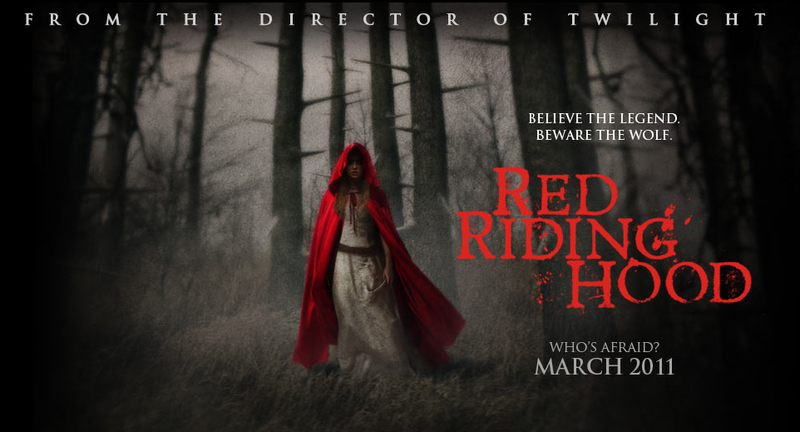 This entry was posted in Review and tagged amanda seyfried, catherine hardwicke, red riding hood, twilight. Bookmark the permalink.